Wunderkind Mark Dallas is the brain and brawn behind Galetta Nurseries, a specialty rose grower and retail supplier located just this side of Arnprior. I say Wunderkind not because he’s a whippersnapper but because he must be young at heart to continue to run an independent plant nursery! Question: Why the heck do you do it, especially if sales are down and people can buy roses cheaply elsewhere? I’ve always loved roses, and I continue to do it because I believe that people deserve to have roses that are reliably hardy in our cold climate. 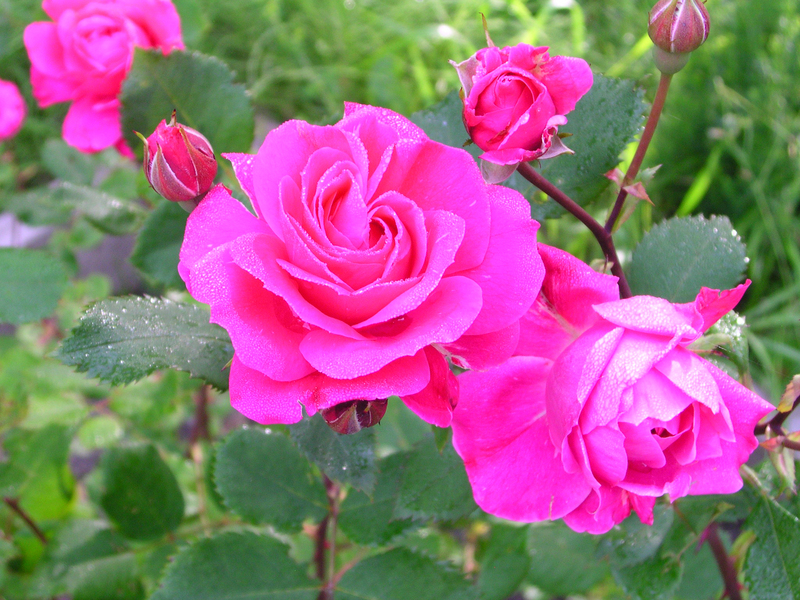 The biggest challenge continues to be that most people think roses are difficult to grow. The hardy roses I grow on the farm thrive in the Ottawa area, and I continue to hope that people will stop buying roses that just aren’t suitable for our climate…and that they will start to focus on the plants that thrive here. Question: What does the future look like for Galetta Nurseries? To be blunt, not great. We’re competing with cheap imported roses. Many of these imported roses won’t survive the winter here, but they are cheap, and price seems to be the big driver these days. 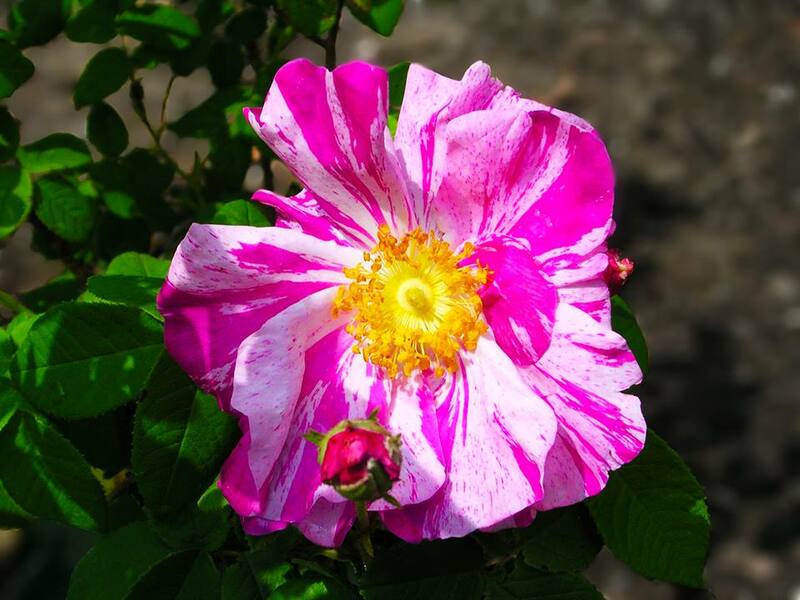 We carry a great selection of truly hardy roses at Galetta Nurseries, and we have some very rare and unusual varieties, but we still struggle to convince gardeners that there are reliable roses for our climate. “Please note: Pickering Nurseries will not open for the 2015 season. 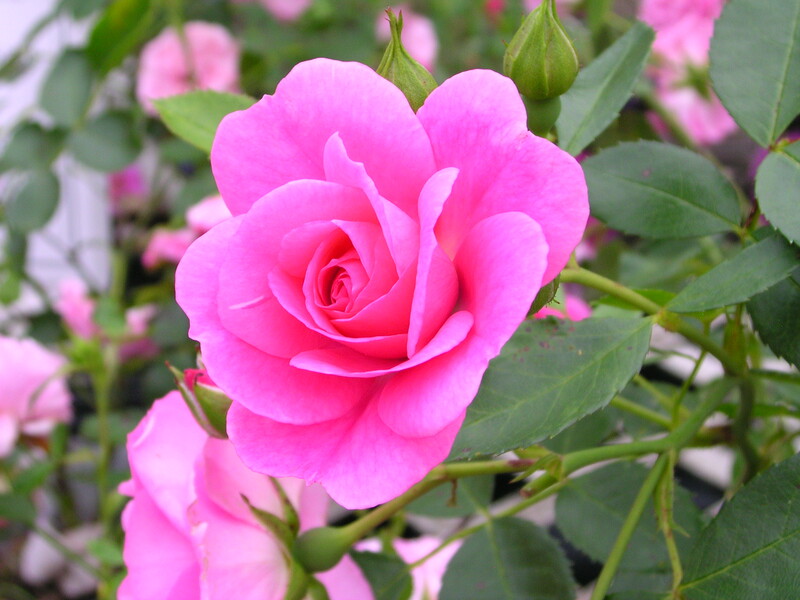 The rose growing industry has seen a great many changes in the last 10 years. Unfortunately, the majority of these changes were negative for both the companies involved and their bottom lines. The pesticide ban enacted by Ontario in the mid 2000’s, an increase in hybridizer royalty rates and how they are calculated, a glut of cheap US grown roses coupled with the Canadian government changing both import and export regulations (unable to ship to the US 2013 and additional ongoing issues with our root stock) have left me with no choice but to stop shipping roses for this season. Over the last several years Pickering Nurseries has been exploring alternative propagation techniques and changes to our business model. Both of these things are still a work in progress. We hope to have a small, core selection of rooted cuttings available in the spring of 2016. It is also with great sadness we announce the passing of Joseph Schraven, my father and founder of Pickering Nurseries, on May 27th. In closing, I would like to extend thanks to all our long time customers and our colleagues in the industry and we hope to be able to serve you in the future. Question: This makes me so sad. Who are the other suppliers that have closed? Enderlein has quit roses to go in to growing marijuana and Adamson’s (in BC) is closing to all but very large growers — they’re the only reliable supplier of own-root. Lemay near Montreal has cut back from 450 to 40 varieties. 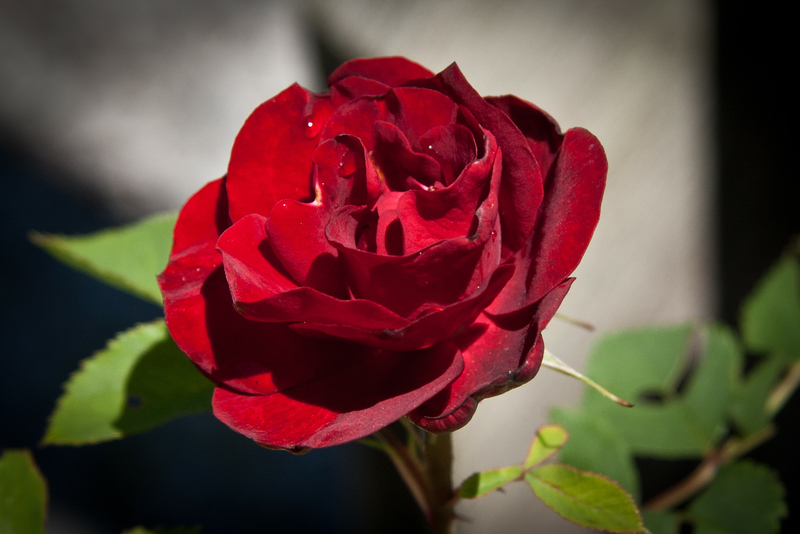 Finally, another retailer in the Eastern Townships who did only roses has quit….. Question: Are they ones that you have done business with? Do you just have Hortico now? These were key suppliers of some of my initial stock for growing on. As you note, Hortico is still around, but they don’t appear to do own-root roses. Question: What is your production routine? Do you grow your roses from seed or cuttings? 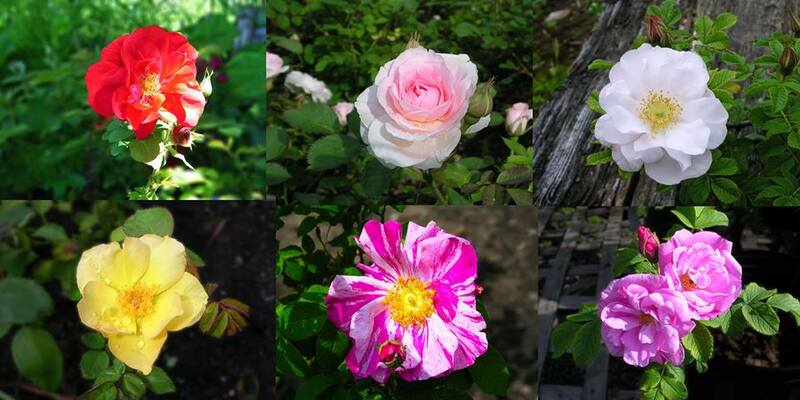 They’re all from cuttings: most roses are hybrids, and they don’t come true to seed. So the seeds will develop into roses, they won’t be the same as the original plants. Question: How do you choose the roses you sell? Only the ones that will survive here. 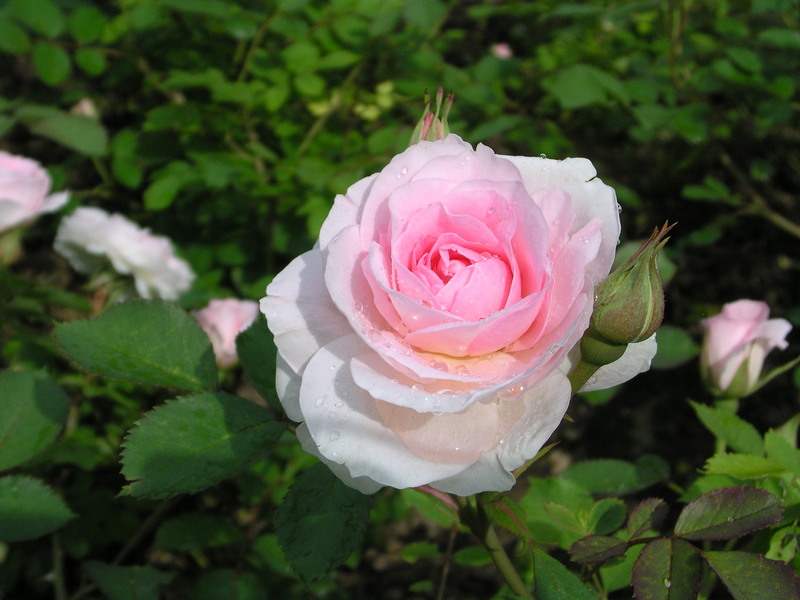 I consult with other rose growers in similar climates, and I then test each variety for hardiness and disease resistance. If a variety doesn’t survive well over many winters, I drop it. I expect a survival rate of greater than 99% — while most rose varieties sold in the box stores have a survival rate of 50% of less. Because of this approach, I can guarantee all the roses for a full year. 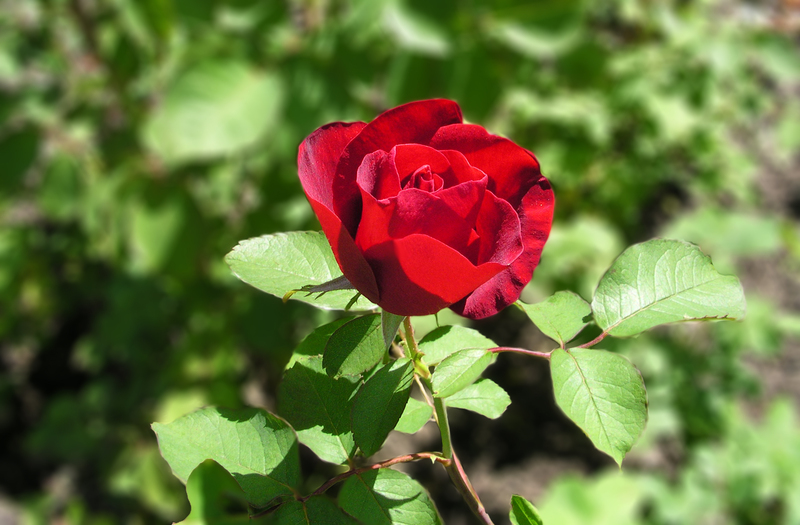 Question: Do you give advice about growing roses to your customers? Is it foolproof? Yes: every purchase comes with a full set of instructions, and there’s a detailed web site describing most of the issues that people will have to deal with. I also send out regular email notices to remind people of any special care instructions. Generally, though, the roses I grow don’t need much care at all. They just need to be planted and watered occasionally, and they don’t need any special winter care — we just leave them alone for the winter and they survive very nicely. I also send out regular email newsletters outlining the best practices for pruning and care. Go visit Mark at his home and nursery this spring and summer. But in advance of that, visit his website for his 2015 Availability List of roses. I guarantee that you’ll find several roses that you won’t be able to live without! Sorry, Mark’s roses are *not* available by mail order. Pick-up only. Oh my goodness! This post has ripped a part of my heart out! Many years ago, when my husband and I lived in Camrose (“Valley of the Roses”) Alberta, and I was rose-obsessed, I bought roses from Pickering Nurseries. We were driving across the country, and I was beset with David Austin roses and antique roses; Pickering had them all. We drove through a late-fall rainstorm listening to Miles Davis all the way from Quebec City. I picked up my prizes, ordered beforehand, and we drove them home to Alberta, where it was already -30C and snow-crusted. I carefully stored my bare root roses, and in the spring, lovingly started them inside in pots — in the living and dining rooms as it happened (we were renovating). I still remember the way the sun hit as I planted them, and the weeks I watered them, and their tender leaves came out. Then, once it was safe, I planted them in the garden, and English style garden I was trying to create on the prairies. They were so beautiful. It has been a long time since we lived in our little house on the prairie, surrounded by lilac bushes and a 75 foot long 6 1/2 foot high fence covered in Bolton’s sweet peas, with overflowing window boxes, and a lovely white picket fence. I am so sorry that Pickering Nurseries is no longer around; they were such a magical part of our lives. I live in Ottawa now, and haven’t really gardened in years (young kids and too many activities; overwhelming overgrown garden which I do not know how to tackle). Finding your blog today, and working my way through your posts, has made me incredibly happy. I may need to call on your gardening wisdom!